October 15, 2018: Don Taylor, Tombstone's Official Historian for the last 10 years, presents to Steve & Marcie Shaw, Owners of Great American Adventures, LLC, a Proclamation and Key to the City from the city and mayor of Tombstone in recognition of their 10th Anniversary of "Wyatt Earp's Vendetta Ride." October 21, 2018: The Wild Bunch Film Festival, Willcox, AZ awards Great American Adventures' "The Peace Makers: The Night of the Ripper" with four additional awards to complement 2017's Best Screenplay Award. These awards were for: Best Comedy Western - Festival Directors Choice; 2nd Place Best Movie Poster; and two awards for Best Child Actor - Matt and Parker May. In total, our little film garnered 5 awards!! October 21, 2017: The Wild Bunch Film Festival, Willcox, AZ awards Steve Shaw the Screenwriter award for his script for his movie, "The Peace Makers: The Night of the Ripper." Presenting the Award is Charlie LeSueur, Western Film Historian and author. 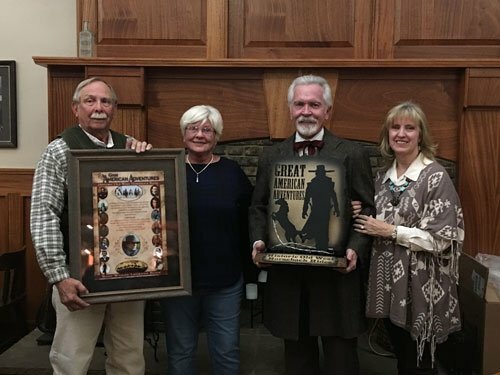 September 27, 2017: Steve & Marcie Shaw, owners of Great American Adventures, LLC recognizes John Rankin, aka "Rodeo Rankin", for his consistent, unwavering loyalty to GAA's Historic Old West Horseback Rides. 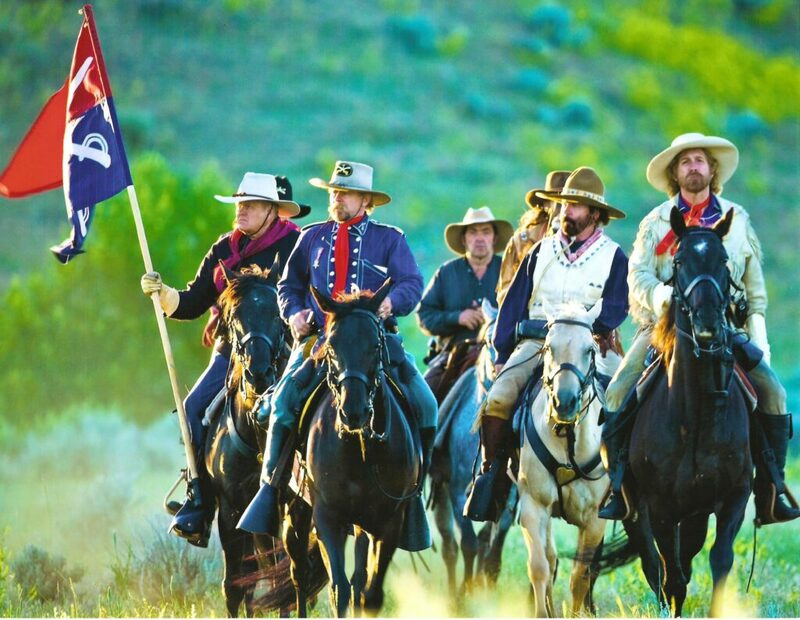 Rodeo Rankin joined our rides back in 2005 with our "Custer's Ride to Glory" at the Little Bighorn, MT. Since then, Rodeo has been on 15 rides over the 14 years we have been offering them. With GAA, Rodeo has followed in the hoofprints of General George A. Custer, Quanah Parker, Butch Cassidy & The Sundance Kid, Jeremiah Johnson, Billy the Kid, Wyatt Earp, John Wayne, Jesse James, Kit Carson, and was featured in our "Ride the REEL West" movie. 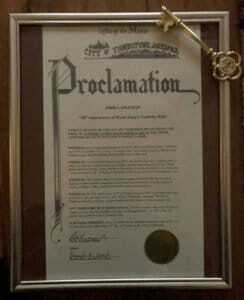 On Wednesday evening, during our week long adventure "Jesse James' Great Train Robbery" in Silverton, CO, Rodeo Rankin was presented with a matted & framed "Proclamation" attesting to his 15 rides and accomplishments plus a metal sculpture of the Great American Adventures logo... the Gunfighter and rearing horse. Rodeo... Marcie and I thank you and your wife, Faith, for your friendship and loyalty over these many years. 22. Cowboy & Indians magazine, July 2016 issue, Summer Travel Issue, p. 40: 21. 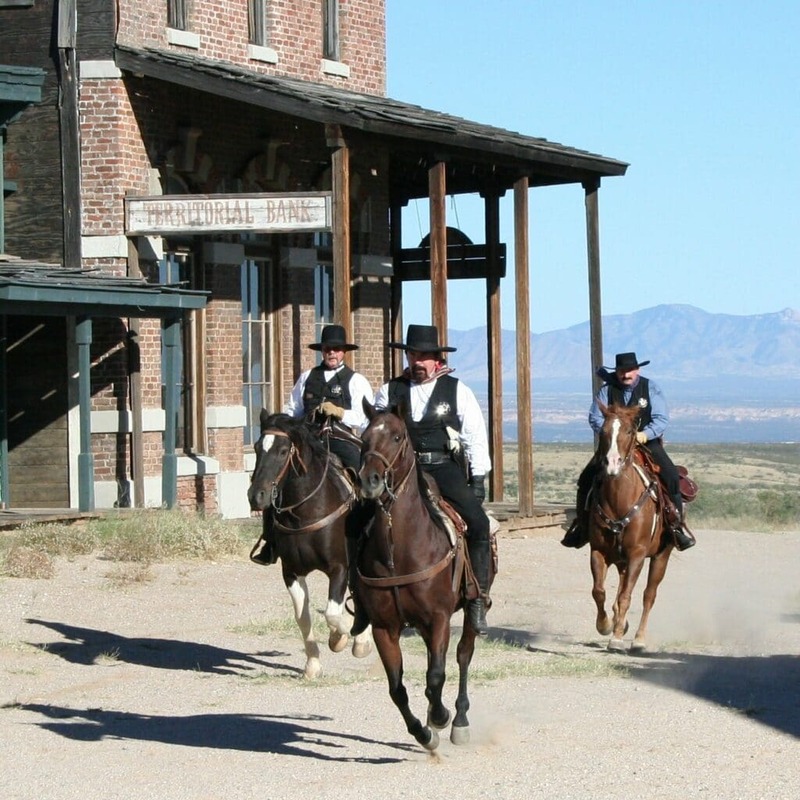 Article in "Open Range" section entitled "Ride Back in Time." 20. 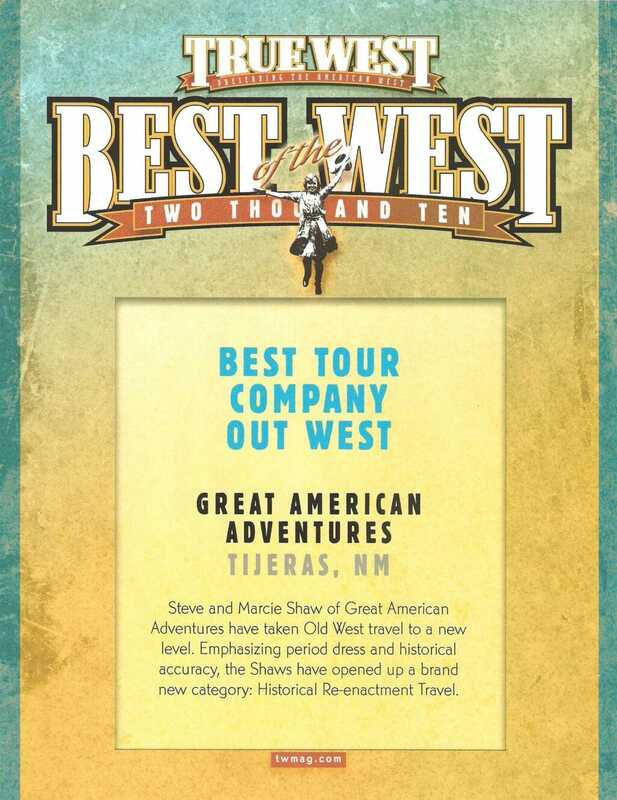 Cowboys & Indians magazine, May/June 2016 "Best of the West" issue, p. 125.
a. Great American Adventures is Number 2 out of 10 "Equitrek Around the World." a. Article in their "Open Range" section with color photo. a. Five-page article on Steve & Marcie Shaw & Great American Adventures' Historic Old West Horseback Rides. b. Includes full spread group photo from John Wayne's Monument Valley Ride, photo of us and from Vendetta Ride. a. 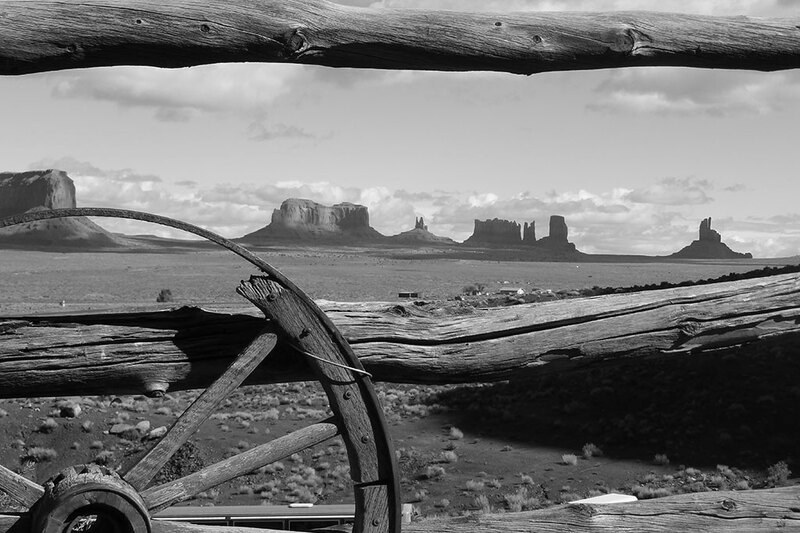 Article on "John Wayne's Monument Valley Ride." a. 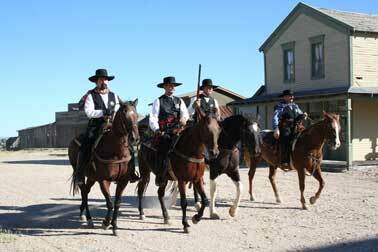 Highlights "Wyatt Earp's Vendetta Ride" as one of Five Great Outlaw Trail Rides. a. Mentions Great American Adventures' horseback ride in Sicily, "The Ride with No Name"
b. And two of four Top Trail Rides in the United States. b. Read subscriber's comment, American Cowboy Mailbag - June/July 2011 issue, page 25.
a. Read Darley Newman's (of TV's Equitrekking) story, "Making History on Horseback"
7. Listen to Great American Adventures' Global Radio Spot: Click Here - launched February 2011. 6. 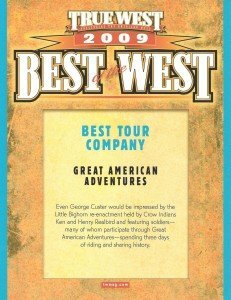 True West magazine, "Best Horse Trail Ride Out West for 2011"
a. 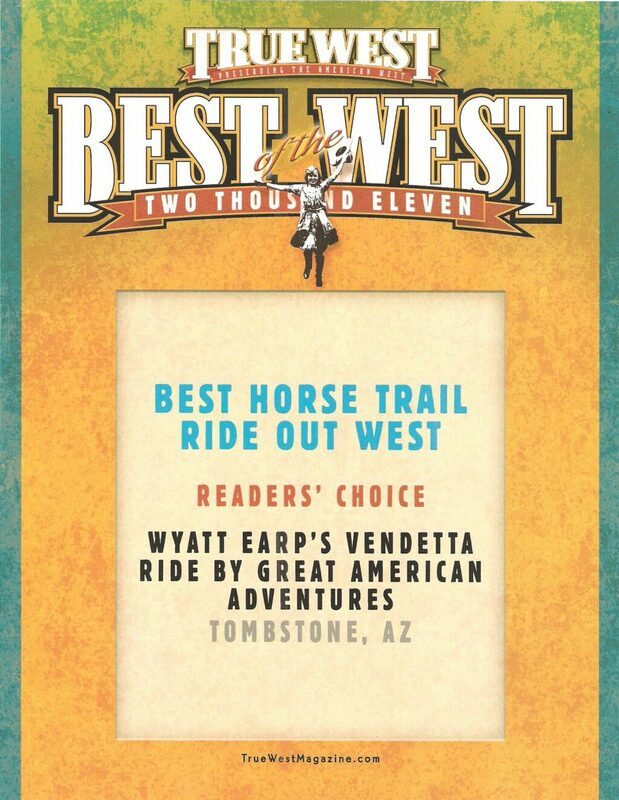 "Reader's Choice Award" goes to... Wyatt Earp's Vendetta Ride. a. Read the interview with Steve & Marcie Shaw: "What History Taught Me"
2. True West magazine, June 2009 Cover Shot by Marcie Shaw, taken during June 2008 Custer's Ride to Glory. 1. True West magazine's Bob Boze Bell reviews my novel, "Beyond the Rio Grande," September 2007 issue, p. 8. 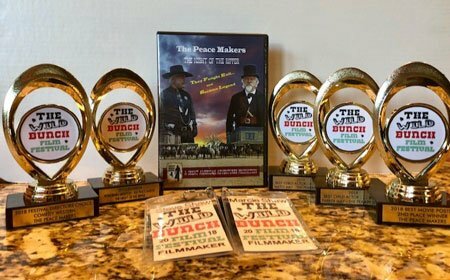 October 21, 2018: The Wild Bunch Film Festival, Willcox, AZ awards Great American Adventures’ “The Peace Makers: The Night of the Ripper” with four additional awards to complement 2017’s Best Screenplay Award. These awards were for: Best Comedy Western – Festival Directors Choice; 2nd Place Best Movie Poster; and two awards for Best Child Actor – Matt and Parker May. In total, our little film garnered 5 awards!! 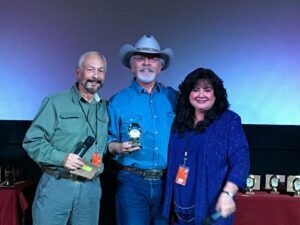 October 21, 2017: The Wild Bunch Film Festival, Willcox, AZ awards Steve Shaw the Screenwriter award for his script for his movie, “The Peace Makers: The Night of the Ripper.” Presenting the Award is Charlie LeSueur, Western Film Historian and author. September 27, 2017: Steve & Marcie Shaw, owners of Great American Adventures, LLC recognizes John Rankin, aka “Rodeo Rankin“, for his consistent, unwavering loyalty to GAA’s Historic Old West Horseback Rides. 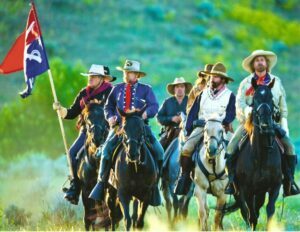 Rodeo Rankin joined our rides back in 2005 with our “Custer’s Ride to Glory” at the Little Bighorn, MT. Since then, Rodeo has been on 15 rides over the 14 years we have been offering them. 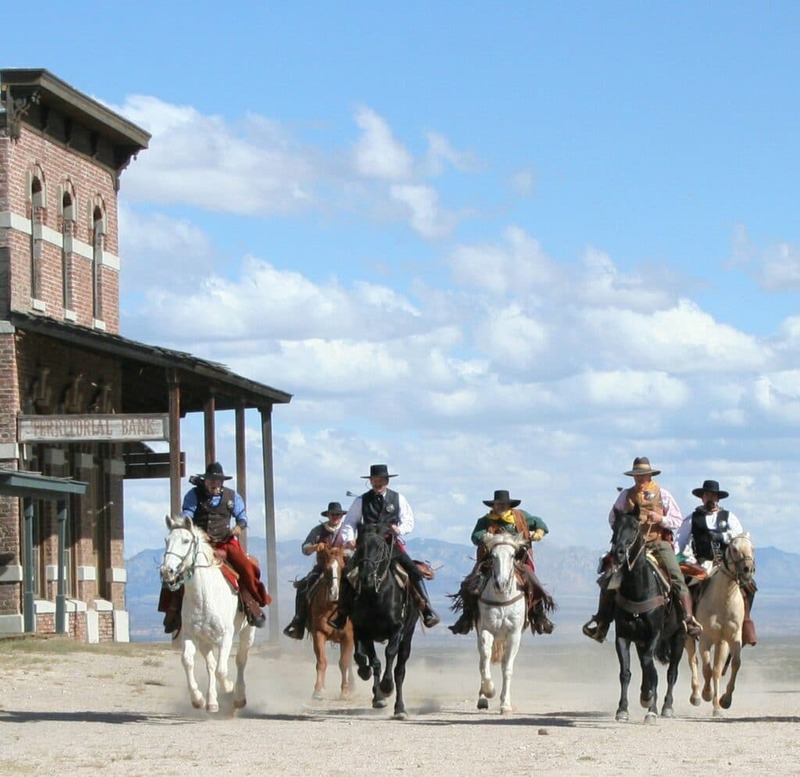 With GAA, Rodeo has followed in the hoofprints of General George A. Custer, Quanah Parker, Butch Cassidy & The Sundance Kid, Jeremiah Johnson, Billy the Kid, Wyatt Earp, John Wayne, Jesse James, Kit Carson, and was featured in our “Ride the REEL West” movie. 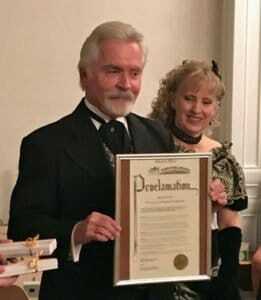 On Wednesday evening, during our week long adventure “Jesse James’ Great Train Robbery” in Silverton, CO, Rodeo Rankin was presented with a matted & framed “Proclamation” attesting to his 15 rides and accomplishments plus a metal sculpture of the Great American Adventures logo… the Gunfighter and rearing horse. Rodeo… Marcie and I thank you and your wife, Faith, for your friendship and loyalty over these many years. 20. 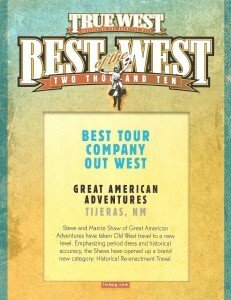 Cowboys & Indians magazine, May/June 2016 “Best of the West” issue, p. 125.
a. Article in their “Open Range” section with color photo. a. Five-page article on Steve & Marcie Shaw & Great American Adventures’ Historic Old West Horseback Rides. b. Includes full spread group photo from John Wayne’s Monument Valley Ride, photo of us and from Vendetta Ride. a. 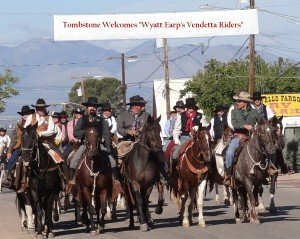 Highlights “Wyatt Earp’s Vendetta Ride” as one of Five Great Outlaw Trail Rides. b. Read subscriber’s comment, American Cowboy Mailbag – June/July 2011 issue, page 25. 9. Arizona sanctions Wyatt Earp’s Vendetta Ride as an Official Centennial Event – February, 2011. 7. Listen to Great American Adventures’ Global Radio Spot: Click Here – launched February 2011.
a. 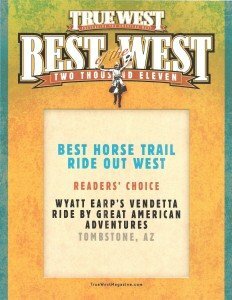 “Reader’s Choice Award” goes to… Wyatt Earp’s Vendetta Ride. 4. 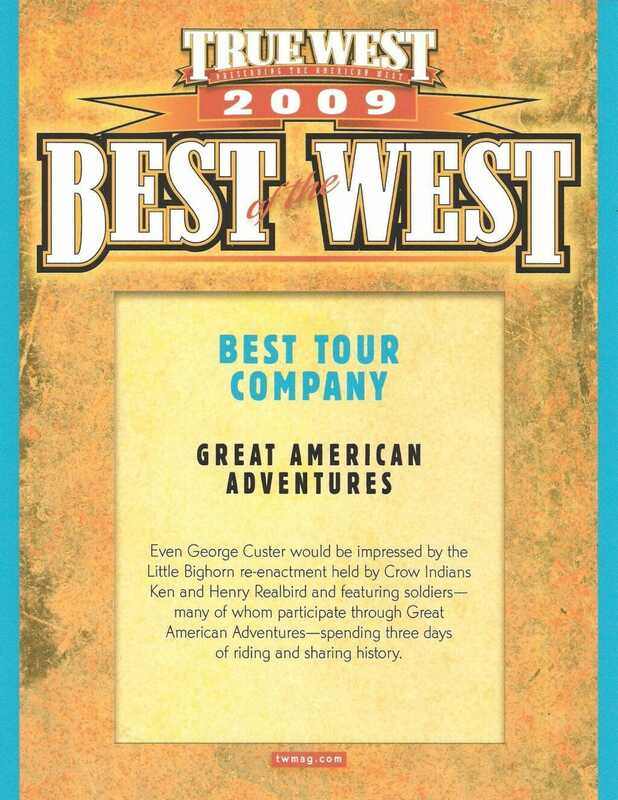 True West magazine’s “Best of the West” Tour Company Award for 2009 & 2010. 2. True West magazine, June 2009 Cover Shot by Marcie Shaw, taken during June 2008 Custer’s Ride to Glory. 1. True West magazine’s Bob Boze Bell reviews my novel, “Beyond the Rio Grande,” September 2007 issue, p. 8.